You can use them on pancakes or drizzle them on deserts. They make refreshing beverages and can even be used to make cookies and pies. One of the handiest uses for California native fruits and berries is flavored syrups. But why discuss syrups in January, when fruits mostly ripen in summer or fall? First, there’s still time to plant native berry and tea plants this year. Perhaps this posting will inspire you. Second, syrups are particularly useful right now, when fresh fruits – at least those from home gardens – are scarce. A third reason is that some syrups can be made right now. Fruits/berries are the most common flavoring agents; but syrups can be made from anything used to make a natural tea as well. If you love mint tea – and your mint patch is flourishing – now might be a good time to make mint flavored syrup. Conditions have been perfect for Hummingbird sage this winter (see http://mother-natures-backyard.blogspot.com/2014/03/plant-of-month-march-hummingbird-sage.html). You may be enjoying fresh tea and drying leaves for later use. You might also make a batch of Hummingbird sage syrup. It’s easy, cheap and a wonderful treat that can be used in many ways. We’ll post recipes featuring flavored syrups in the next few months. Flavored syrups are essentially ‘simple syrups’ made with fruit juice or natural tea. You can make as much or as little as you want; and you can use them immediately or process them (like you would jelly) for future use. The flavors are unique to your garden – whether you make syrup from plums or nectarines or from the native fruits. The syrups make unique and wonderful gifts. The main ingredient is either juice or natural tea. You can make juice from just about any fruit: berries, grapes, strawberries, stone fruits, citrus, manzanita fruits, etc. Just wash the fruits, cut and remove the pit (from stone fruits) or slice the citrus thinly. Place fruit in a saucepan/pot and barely cover with water. Heat to a near-boil; then let the mixture simmer for about 20 minutes. The liquid should be colored and well-flavored; smaller fruits will have burst their skins. Remove from the heat, let cool slightly, then strain out the pulp/seeds. Use a jelly bag or line a sieve with several layers of cheese cloth. The resulting ‘juice’ should be colored but relatively clear, with no visible particles. If using natural tea, follow the instructions on making tea from our June, 2012 posting (http://mother-natures-backyard.blogspot.com/2012/06/making-tea-from-california-native-mint.html ). You might want to make the tea a little stronger than normal if using it for syrup-making. You can make this syrup in any amount – just use equal amounts of sugar and juice. A thicker syrup (good on pancakes or desserts) can be made by increasing the sugar up to a 1 to 2 ratio of juice/tea to sugar (e.g., one cup juice to 2 cups sugar). Experiment to get the consistency and flavor combination you prefer. You can also combine several types of juice/tea if desired. Place sugar, juice and spices (optional) in a heavy saucepan. Simmer over medium heat until mixture boils. Lower heat and continue to simmer 5 additional minutes. Remove from heat. Process syrup with a boiling water bath* (as for jelly) if you want to store the syrup for up to a year. Or cool and store in a sealed glass jar in the refrigerator for up to a month. 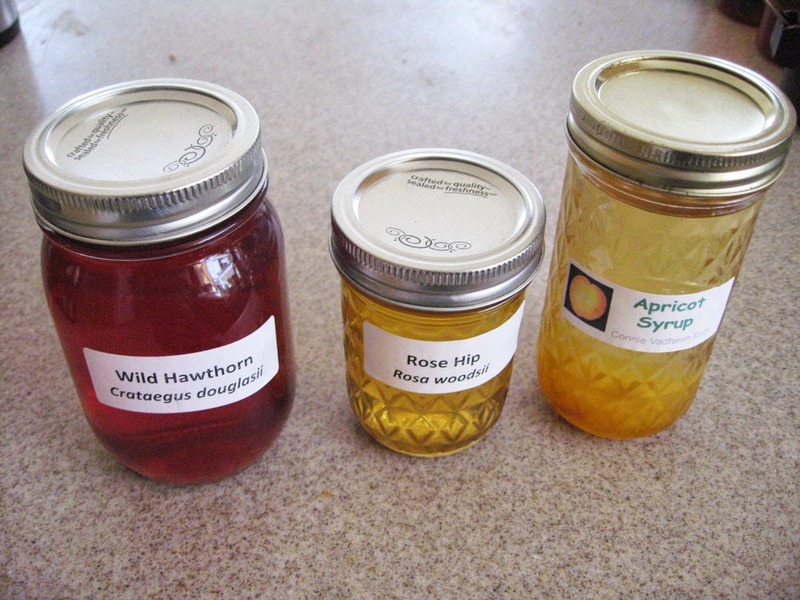 * A good way to preserve syrups is by canning them, using the sterilizing effects of heat. This time honored method allows you to store syrups, in canning jars, at room temperature. You need to be sure that you follow recommended methods exactly to insure that your food is canned safely. January can be an interesting month in Southern California gardens. Sometimes the weather is cold and rainy – almost continually. And sometimes we have periods of almost summer-like conditions. This January is starting out to be a warm one. Much to our surprise, the earliest blooming of our sages, Salvia munzii, is already flowering. Munz’ Sage, also known as San Diego sage and San Miguel Mountain sage, is endemic to the San Miguel Mountains in southernmost San Diego County and bordering northern Baja California, Mexico. This region, which includes the well-known Otay Mountain, is home to many interesting plants known for their drought tolerance. Munz’ sage grows in both the Chaparral (higher elevations) and Diegan Sage Scrub plant communities. 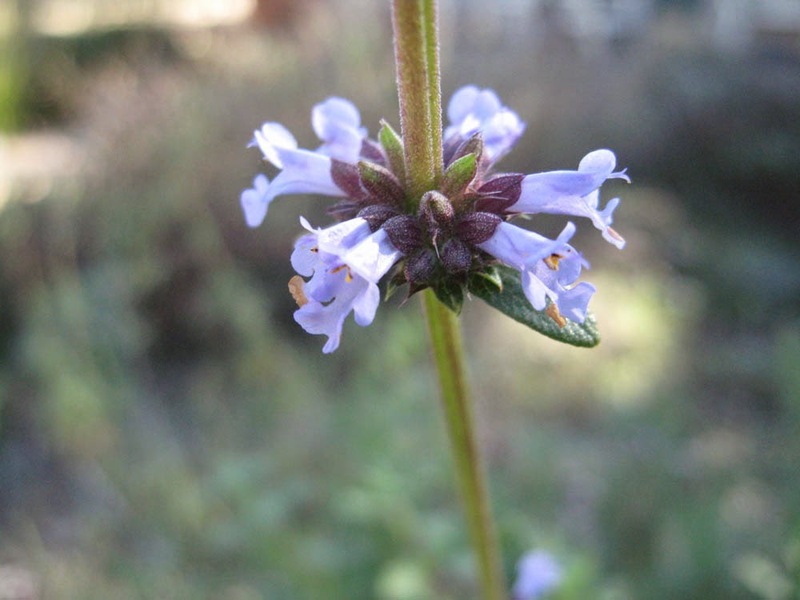 Because it occurs in such a limited region, the California Native Plant Society has placed Munz’ sage on its Rare and Endangered Plants list (listed as ‘fairly endangered in California’ due to limited range and possible threats to habitat). Munz’ sage was named in honor of Philip Alexander Munz (1892-1974), professor of botany at Pomona College and researcher at the Rancho Santa Ana Botanic Garden. He is best known for his books including A Flora of Southern California and a popular series of wildflower books (California Mountain Wildflowers, California Desert Wildflowers, California Spring Wildflowers and Shore Wildflowers of California, Oregon and Washington). These books are still treasured by plant lovers, even though the original editions have long been out of print. The University of California Press has released revised editions of these classics in the past decade. Munz’ sage is a Salvia (Sage), a genus that includes many aromatic plants. Salvia is the largest genus in the mint family, with over a thousand species world-wide. At least 17 Salvia species are native to California, many to the southern part of the state. The genus name derives from the Latin salvere (to heal or be healthy), alluding to the healing properties of the genus. Salvias are prized as ornamental plants - or for their culinary and medicinal properties - in gardens throughout the world. 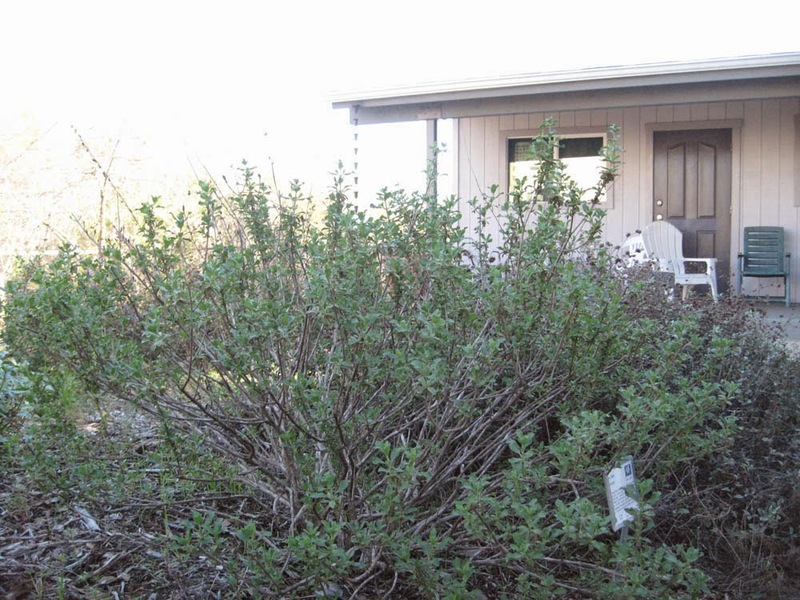 Among the California shrubby Salvias, Munz’ sage is one of the more petite. In our experience it rarely grows to more than 3-4 ft tall and wide, though some growers (primarily those from moister climates) list it as growing to 6 feet. In its growth form, Salvia munzii most closely resembles the Cleveland Sage (Salvia clevelandii), another native with a nice, mounded shape and rather slender, open branches. While sometimes described as similar to Black sage (Salvia mellifera), in our eyes Munz’ sage appears quite delicate compared to the robust – even chunky – appearance of Black sage. The bark of younger stems is red – also like Cleveland sage – becoming gray with age. 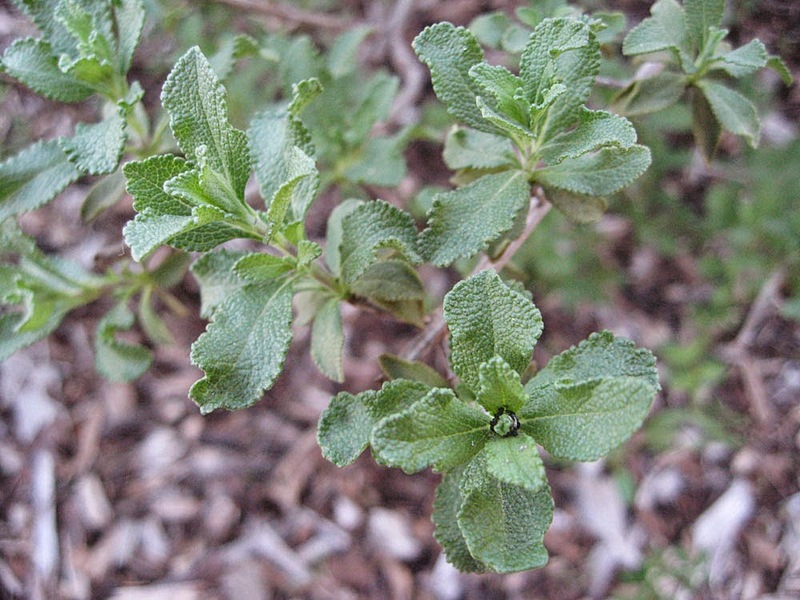 The leaves of Munz’ sage are smaller than other local sages (~ 1 inch or less) and medium green to gray-green in color (see above). Like many sages, the leaves are mostly oblong to lance-shaped. They have a crinkled ‘pebbly’ surface (like Black sage) and are very aromatic. The scent is probably closest to that of Cleveland sage – with perhaps a hint of Black sage thrown in for good measure. In our opinion, Munz’ sage has the nicest scent/flavor of any of the California sages. Fresh or dried, we use it routinely as a seasoning herb and in potpourri, sachets etc. In fact, one of the more compelling reasons to grow it is to have a ready source of the aromatic leaves. In addition to the straight species, several cultivars are available from native plant nurseries. The cultivar Salvia munzii 'Baja Blue' has lovely lavender flowers and is garden hardy. It grows to 3-6 ft. tall and wide. Salvia munzii 'Emerald Cascade' is a short cultivar (1-3 ft tall) with a mounding growth habit (to 4-5 ft wide). It was also selected for its ability to grow well in local gardens. Like other local Sages, Salvia munzii produces two sets of leaves a year. The larger, greener ‘wet season leaves’ (above) are produced in winter/early spring. As the plants dry out in early summer, they drop the wet season leaves - alarming the first time you see it in your garden! They then produce a set of smaller, grayer leaves to get them through the summer and fall (see below). You can delay the summer leaf drop by giving the plants a little summer water. But ultimately native Salvias need to dry out. So learn to treasure their different – but lovely – appearance in fall. Munz’ sage is the earliest blooming Salvia in our garden, often by several months. The species begins flowering as early as February in lower S. California elevations and may continue until April or so. This year, the first blooms appeared in late December, surprising us all. Were it not for the visits of eager hummingbirds, we might have missed the early flowers entirely. The flowers of Salvia munzii are characteristic of the genus - and of the Mint family in general. Flowers are small, tubular (formed from fused petals) with distinctive ‘lips’ (see below). The flowers are arranged in ball-like whorls around the upright flowering stems. In Mother Nature’s Backyard, the flowering stalks are significantly taller than the foliage. When the plants are mature they should be showy indeed! The flowers are a clear pale blue or violet – occasionally almost white – and sweetly scented. They are similar in appearance to those of Black sage, but smaller and usually more brightly colored (Black sage flowers are often almost white, at least locally). Hummingbirds are frequent visitors, but butterflies, bees and other insects also collect nectar from the flowers. Pollination is probably due to the actions of hummingbirds and large bees. Songbirds, lizards and other small wildlife use the shrubs for cover. All things considered, Salvia munzii is a fairly good habitat plant. 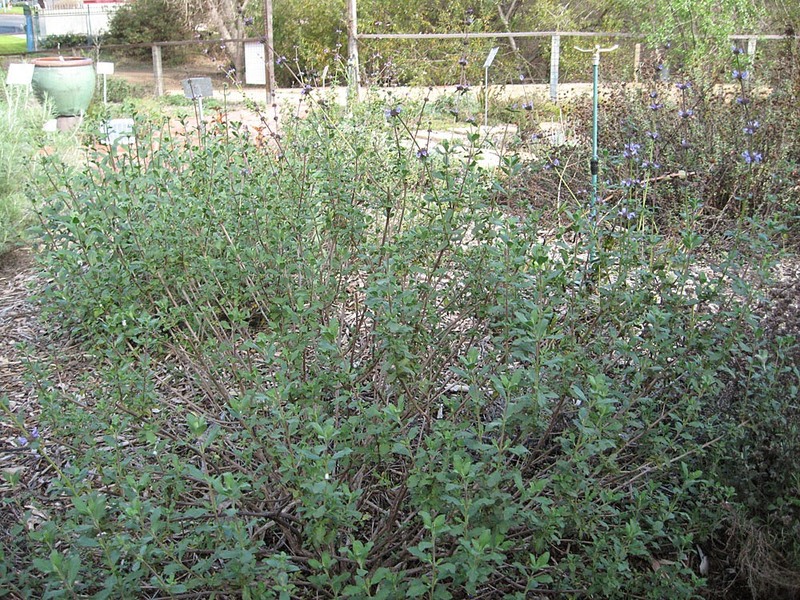 Munz’ Sage is one of the easier native Salvias to include in a home garden. It likes full sun, but does fine with a little shade. In Mother Nature’s Backyard, the area is rather shady in winter, but quite sunny in summer, when the sun is higher in the sky. 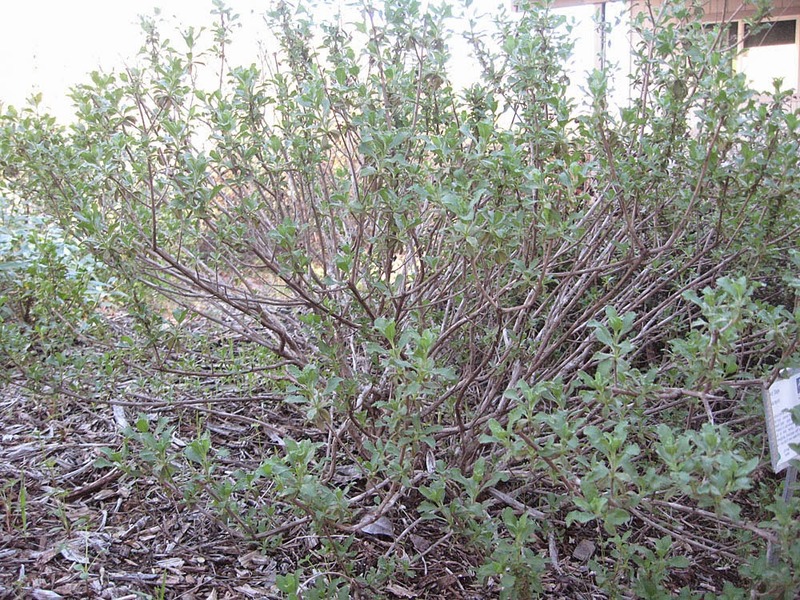 While it likes a well-drained soil, Munz’ sage can be grown in soils from sandy to clay. If you’re worried about drainage, plant it on a low berm (1 ft. high is adequate) to increase the drainage. Like other native S. California Salvias, Salvia munzii is drought tolerant. It can take quite dry conditions (water perhaps once a summer) if you don’t mind the dry appearance. It does, however, hail from a region that gets occasional summer rain, in the form of the summer monsoons. So it can take a little summer water, making it easier to garden with than the truly dry species like White sage. After the first summer, we recommend occasional summer water – perhaps once every 3-4 weeks in sandy soils or several times per summer in clays. Be sure to water deeply and let the ground dry out (to at least 4-6 inches below the surface) between waterings. Taper off the water in September to give plants a dormant period. This water regimen provides a good compromise between garden aesthetics and plant health. If you water more frequently, you’ll likely shorten your salvia’s life. Local Salvias look their best with a yearly pruning, beginning with the first fall (in other words, after at least 6-9 months in the ground). Some prefer to prune soon after Salvias complete their blooming – often in late spring or summer. This encourages Salvias to produce a second, fall flowering, which may be desired. But we delay pruning until late fall for several reasons. First, birds can eat the seeds if seed capsules are left on the plant. Second, you avoid plant stress by pruning during the cooler weather. A third, practical reason involves the pruning itself; if you wait until plants begin to re-leaf in late fall/early winter it’s easier to remove just the right amount. The aim is to prune back enough to control shape, but not so much that you’re cutting back into the older, non-sprouting wood. It’s important to prune each branch back to a point that retains 3-4 sets of new leaves. Delaying pruning until plants are just beginning to re-leaf makes pruning Salvias easy. And if you live in S. California, there will always be a dry spell in November/December that’s perfect for pruning Salvias. 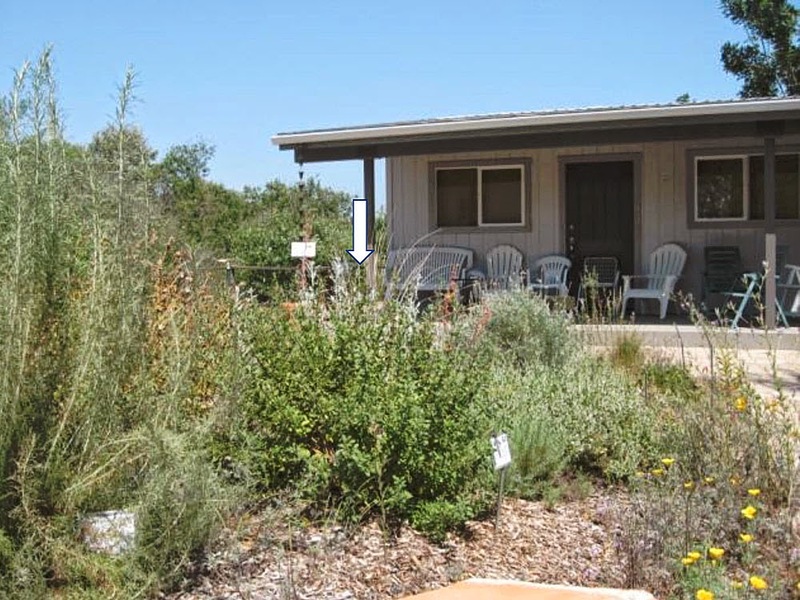 Munz’ sage is a lovely addition to the sustainable S. California garden. It provides early flowers, a nice shape and interesting foliage. Its small size makes it appropriate for sites that can’t accommodate the larger native Salvias. This is probably also the best native sage to grow in a large pot. Munz’ sage does fine on sunny slopes and looks lovely planted with other Salvias and native buckwheats. It’s a good habitat plant and a great addition to scented and culinary gardens. The only word of caution applies to those whose gardens are within two miles of stands of native Salvias. Salvias, including Munz’ sage and many others, interbreed between species, producing hybrid plants. 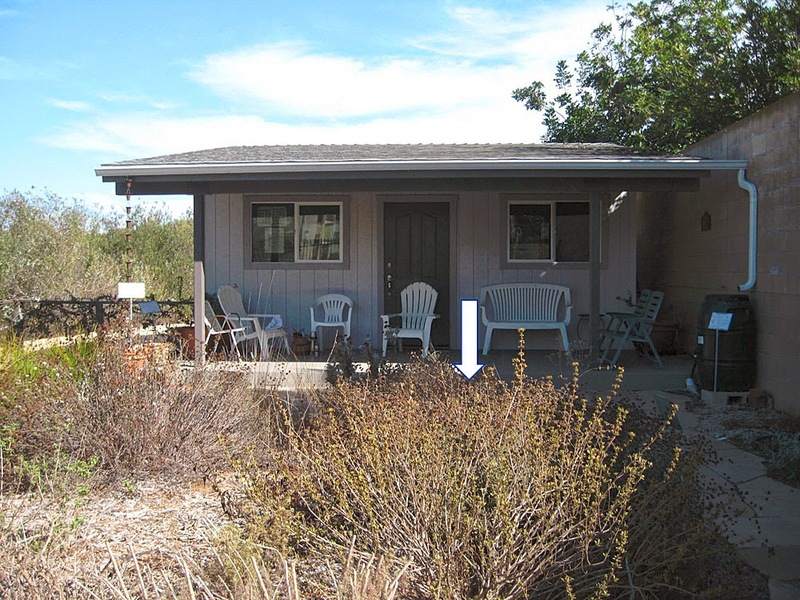 If you live within bee’s flight distance of native Salvias, the California Native plant Society recommends planting only the local native species and, ideally, those produced from local seed sources. That’s the responsible – and sustainable – thing to do.